Rushing down the north slopes of the Boston Mountains, for millions of years the West Fork of White River has carved its sinuous path northward. Caves, hollers, steep bluffs, and rich bottomland follow in its wake. Native people made their homes here, hunting buffalo and deer. Within a few years after the Louisiana Purchase, white settlers arrived to set up homesteads. This book briefly describes how this valley formed over millions of years, how Native tribes lived and hunted here, and what the first white men saw when they arrived. Short biographies of the earliest pioneers portray a fascinating assortment of men and women determined to carve out a livelihood from this rugged land. Subsequent chapters describe the mills, churches, and early roads as well as the neighbor-to-neighbor conflict of the Civil War. Stagecoaches hurtled down the valley roads, later supplanted by the iron horse in 1882 with the completion of the railroad tunnel at Winslow. A chapter on crime reveals shootouts, knife fights, and barn burning. 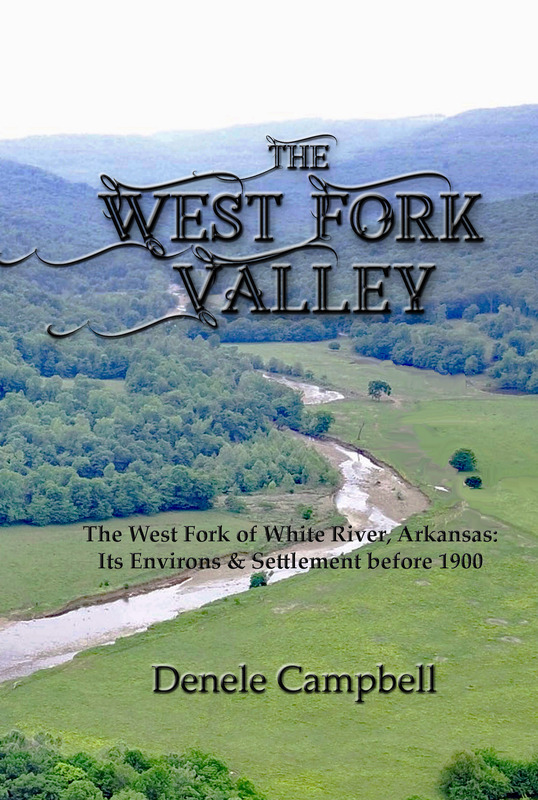 Histories of Winslow, Brentwood, Woolsey, West Fork, and Greenland outline their origins and heydays. Available now at Amazon for $23.95. Paperback, 401 pages. Complete index of family names and places.